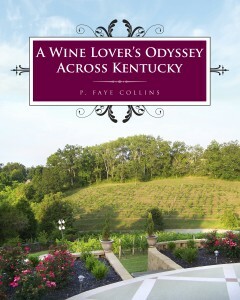 Wine lovers in Northern Kentucky are in luck. Brianza wines are available for tasting and purchase at Vom Fass at Crestview Towne Center and you’ll find some olive oils and balsamic vinegar selections from Vom Foss at the winery in southern Boone County. Brianza Gardens and Winery have been welcoming wine lovers for over two years. They are open six days a week and host many special events. Their wines range from the dry full bodied Cabernet Sauvignon to the lighter Sweet Bottom White. There’s something for all tastes and they are all well made by winemaker, Tony Parnigoni. For those who have not discovered Vom Fass, the shop is located in Crestview Towne Center on the corner just across from Dillards. They offer an interesting selection of oils and vinegars, as well as wines and spirits. Tastings are offered of all of their offerings. Shoppers can enjoy tasting limoncello, brandies, wines, olive oils, and balsamic vinegars all at the same place. Check out their website to learn about the shop and their special events. Look in my links to check out both websites. You’ll be glad you did!